The first time I heard this quote “April Shower Brings May Flowers” was from my husband when I experienced Spring for the first time in 2009. I did not quite understand at the first time, but after rainy days, I then understood. And also it from one of the stories about a boar named May Flowers. In th last couple of weeks my daughter who is at Kindergarten told me about how she learned planting flowers at school and told me about the quote she learned. 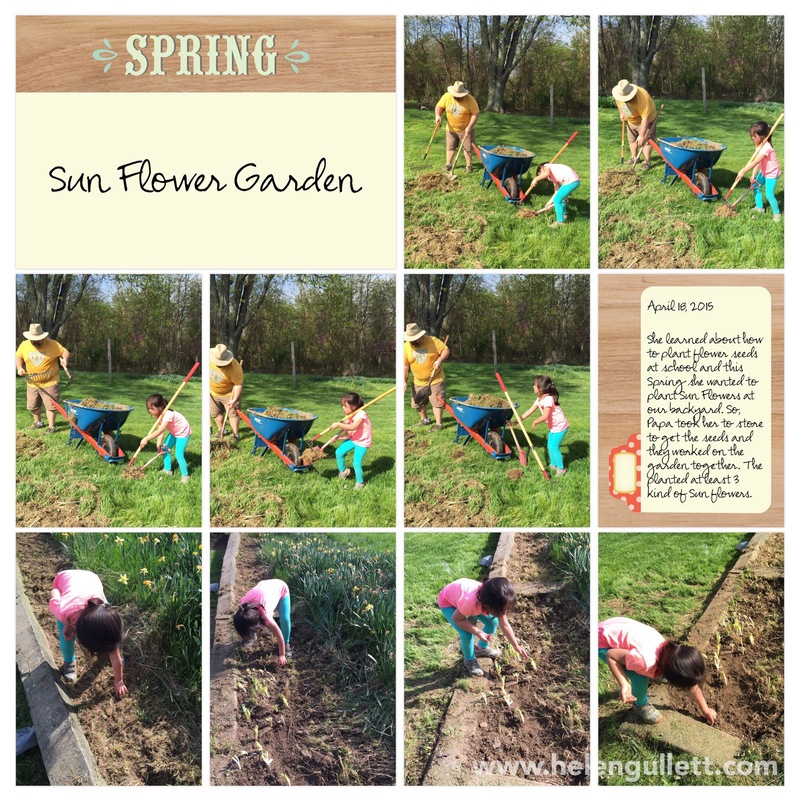 2 weeks ago she kept asking her Papa to take her to store to buy Sun flower seeds so she can have a Sun flower garden this year, so they did. the planted at least 3 kinds of Sun flowers. Sun flowers is low maintenance plant. And we hope to see the flowers and enjoy them when we come back from our Summer Mission Trip. You can create any new projects to enter thoses challenges. You have until the end of May to play with SEM challenges. Please link up yoir projects here. 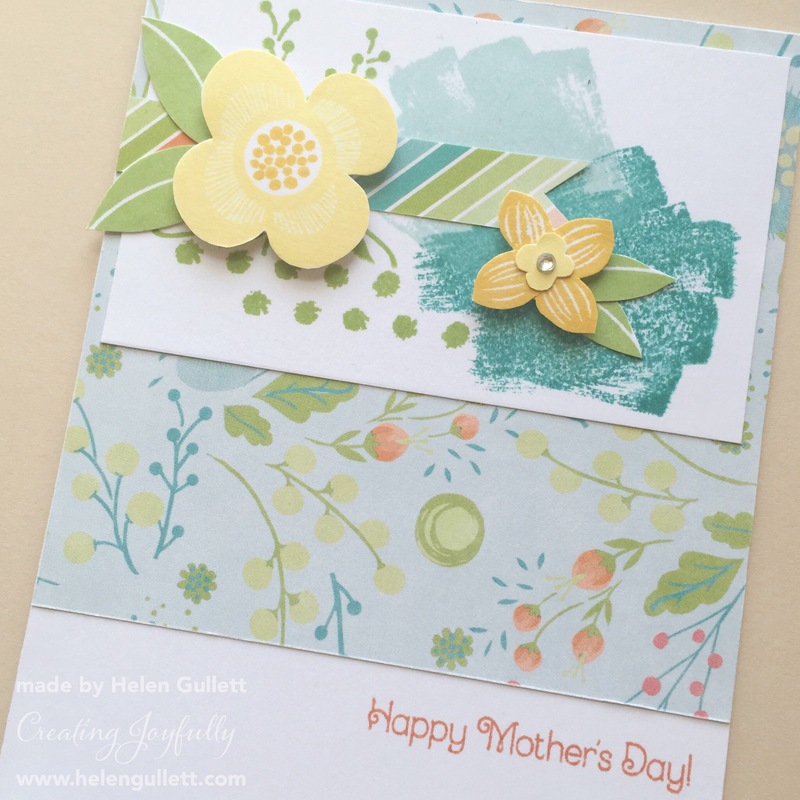 The color combo from this Blossom collection is so beautiful, just perfect from Spring and Mother’s Day projects. 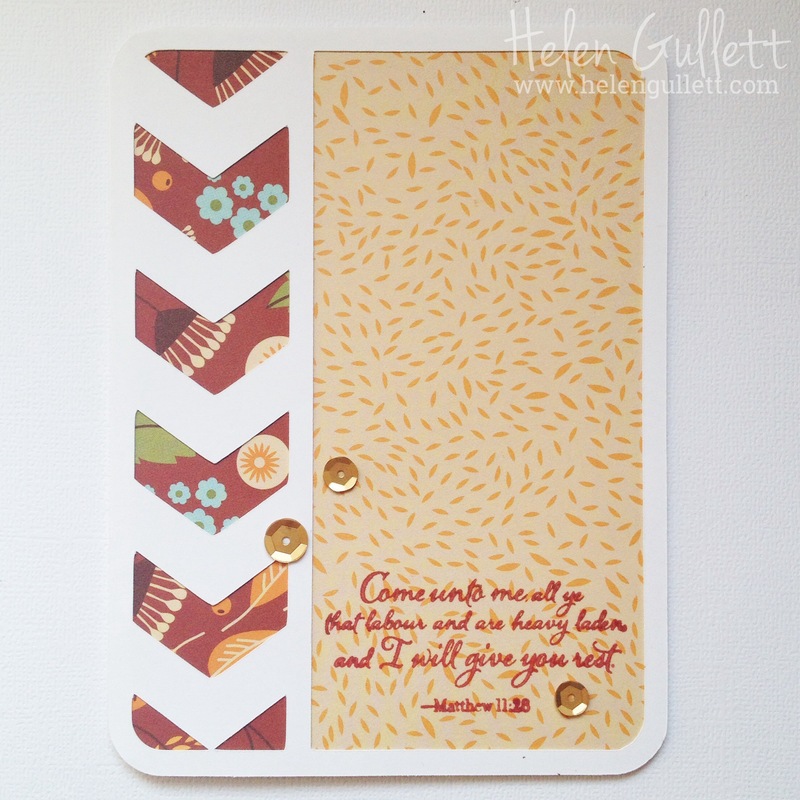 Exclusive Inks Stamp Pads: Cananry, Honey, Pear, Crystal Blue, Juniper, Smoothie. Thank You so much for visiting today and hopefully you can play with the challenges this month. If you need inspirations, the team have created beautiful projects for you here. Welcoming the New Year, Scrapping Everyday Miracles has 3 new challenges on their blog for this month. 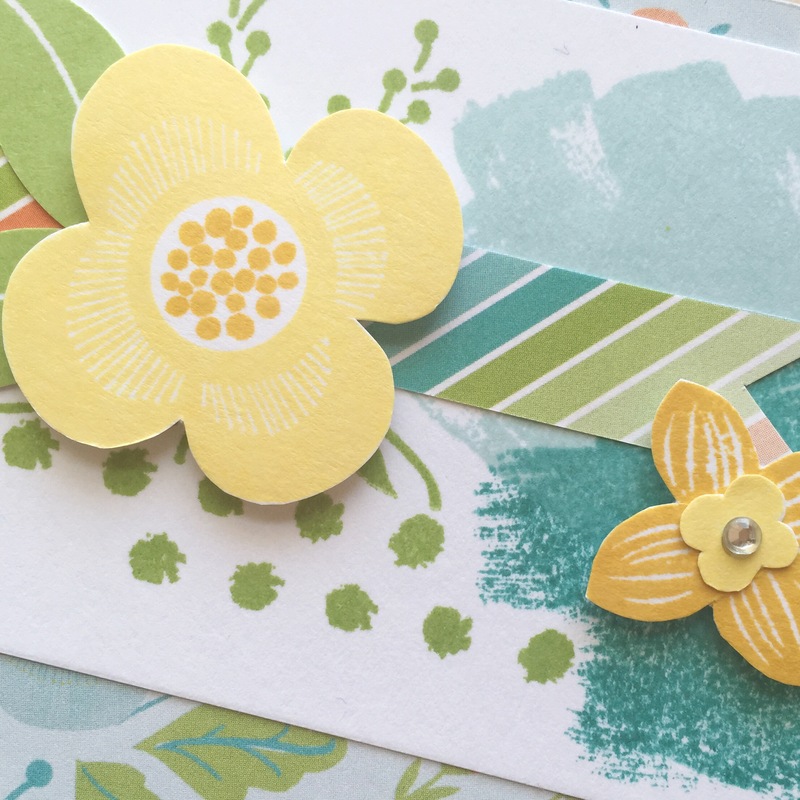 The Design Team have created lots of inspirations for you to play along with us this month, check them out here. And every day, the team also will be sharing some tips, techniques, and encouraging posts on the blog. You have until the end of January to play along with their challenges, read all the challenge rules and link up your project here. 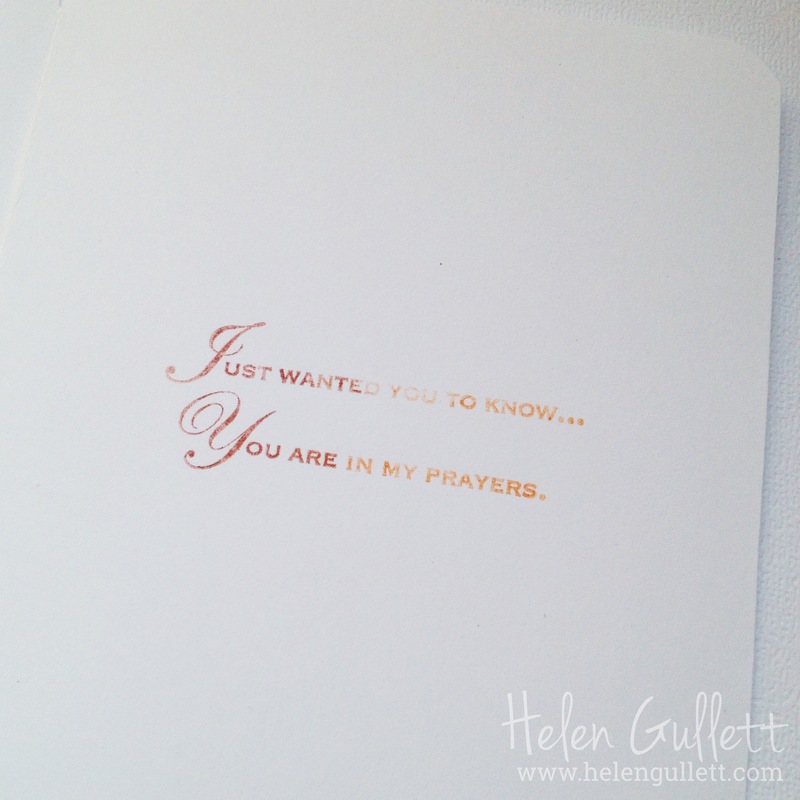 I embossed the card based using my WRMK Evolution Advanced and CTMH Quatrefoil Embossing Folder. Using Watercolor brush, I pick some Hollyhock Exclusive ink from the ink pad lid and splatter it on the card randomly while I squeezed the water out. Have to be very careful to do this because you do not want the water to flow too much out of the brush and will soak your card. Then I let the card based dry on the side. 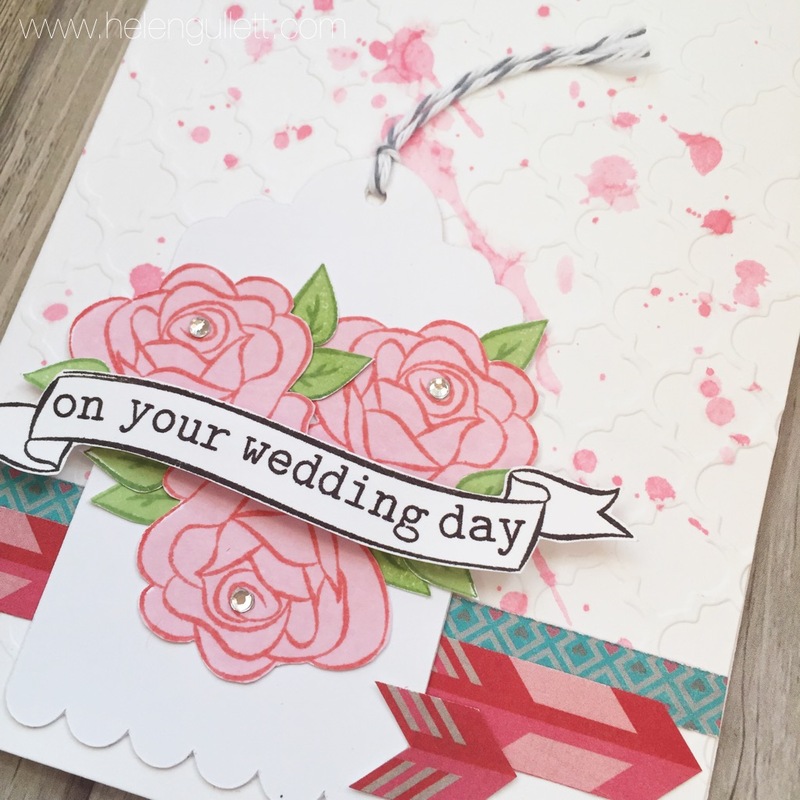 While it was drying, I cut a piece of White Daisy cardstock for the tag using my Silhouette Cameo and punch the bottom of the tag using Scallop Border Punch. Then tie up a piece of Baker’s twine I had in stash (I forgot the color’s name of it… sorry! But it is grey and white). 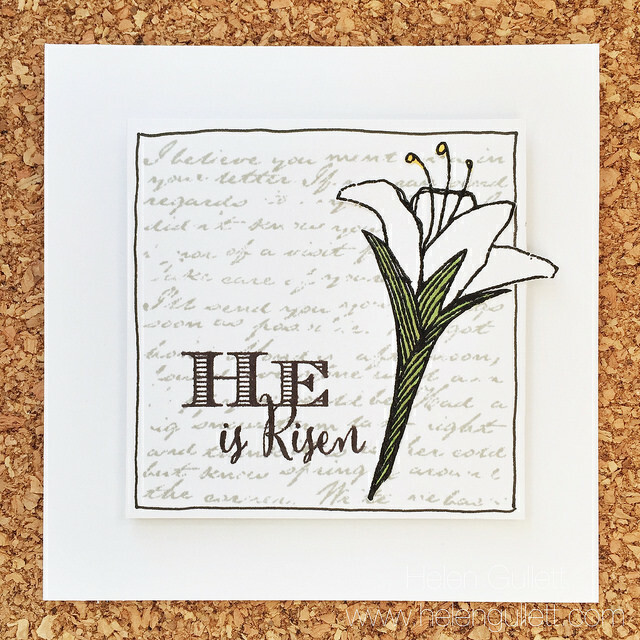 For the flowers, on White Daisy cardstock, I stamped the flowers from The Big, The Bold and Extras set from Winnie & Walter using Hollyhock and Blush (retired, replaced with new pretty color, Pixie) Exclusive Ink Pads, then the leaves using Pear and Topiary Exclusive Ink Pads. Then I cut them using micro-tip scissors. I arranged them on the tag and glued them using glue pen. Then added some Sparkle Clear Assortment gems. 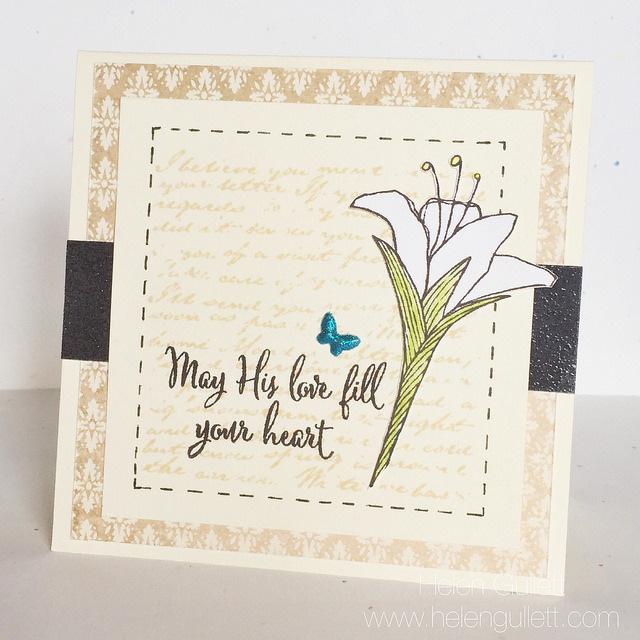 From the same stamp set, I stamped the banner and sentiment using Black Exclusive ink pad. I added the banner on top of the flower cluster using 3D Foam Tape. My card I used Pathfinding paper packet for the pattern paper underneath the chevron die cut from Winnie and Walter. 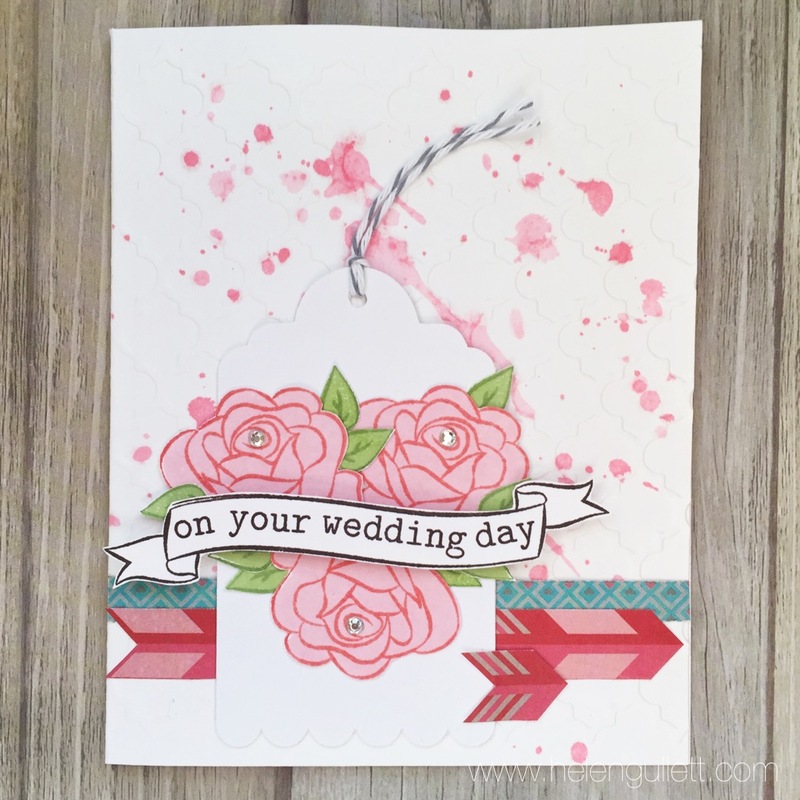 I added the chevron layer on the card using glue pen. 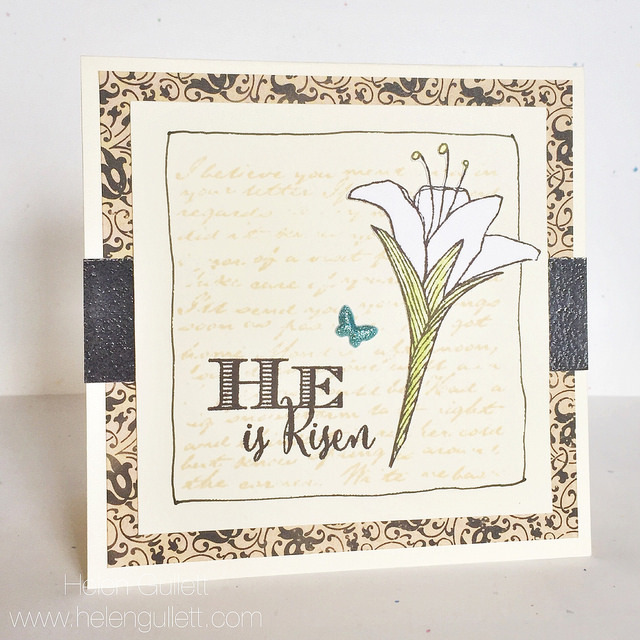 I stamped the verse from Look To The Light stamp set (B1428) with Barn Red pigment ink pad. And then heat set with Craft Heater for quick drying. Then I added some Gold Sequins (I love these sequins comes with 3 gold colors and back adhesive!). Welcome to June! WOW… can you believe that Summer is getting closer? Well… here we actually already have our “Summer” weather. SO LOVE IT! My husband and I have planned for our Anniversary + Family Vacation later this month. We are just so thankful for God’s blessings in our life and enable us to have our first family vacation, real vacation just us and the girls! That is one of the activities we have in our Summer bucket list. What about you? What’s your Summer bucket list? I made this necklace using CTMH Base & Bling Wearable Crafts collections (only $15 for the whole necklace supplies). This is a reminder for me that every day is a gift from God because He will fulfill His purposes in my life because He is my God who endures forever. Knowing God’s promise in our lives is a gift, forever gift! And here’s my take on the Card Sketch Challenge. I used Create Paper Pad and the stamp set is from CTMH Ivy Lane Cardmaking Workshop Kit (D1586) and I wrapped with the hemp cord I got from a store a while ago. 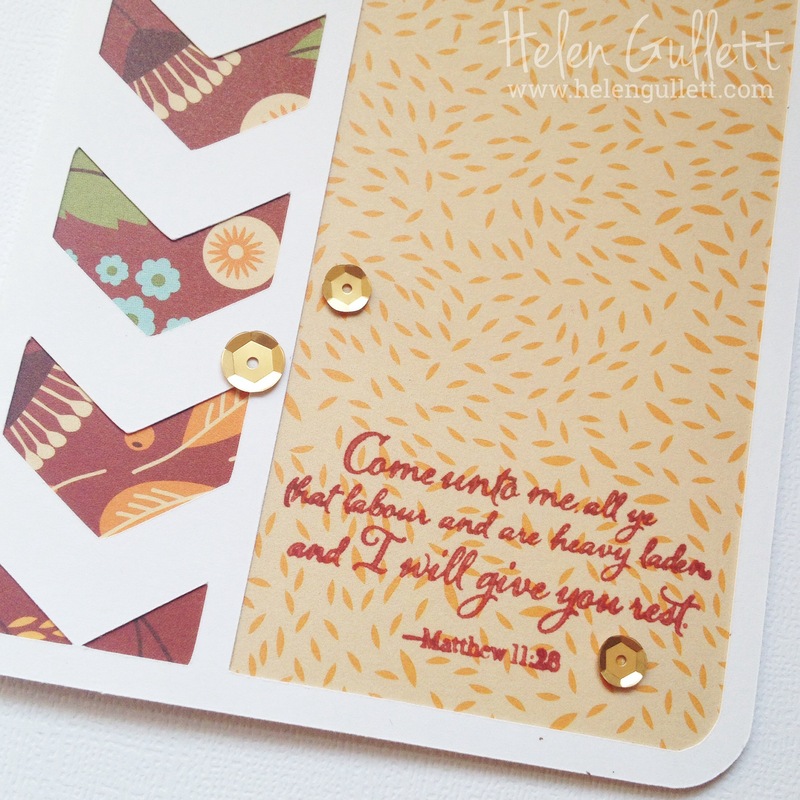 I made this card for a friend… she is one of God’s gifts in my life. You can link up your projects as many time as you want as long as they are following our challenge rules and themes. There are goodies to win!